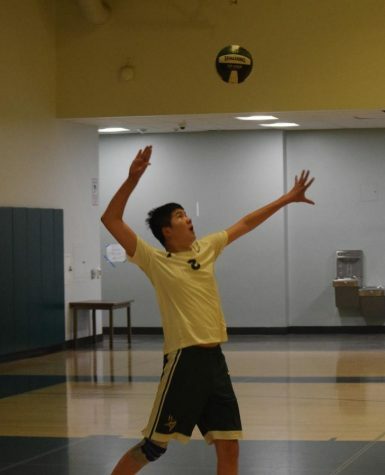 Freshman James Nielsen serves in a tournament against Lynbrook High School. Photo: Micaela Wong. 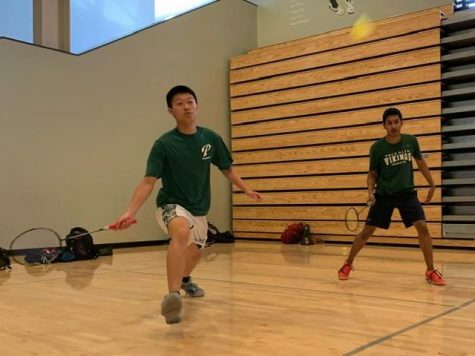 After a rough season marked by surprising victories and tragic losses, the Palo Alto High School badminton team is rounding out its season with the completion of the NorCals tournament. 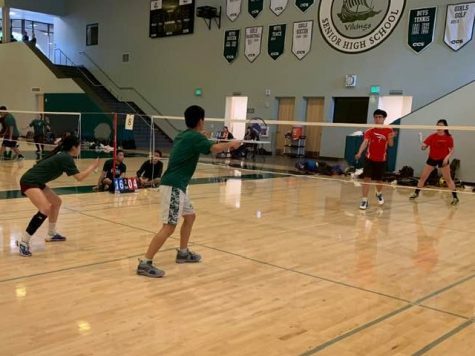 At the Central Coast Section tournament in May, varsity mixed doubles team senior Flavia Stiglich and junior Michael Chau placed second, narrowly losing in the finals to Gunn High School with close scores of 17-21, 26-24 and 21-18 across three matches. 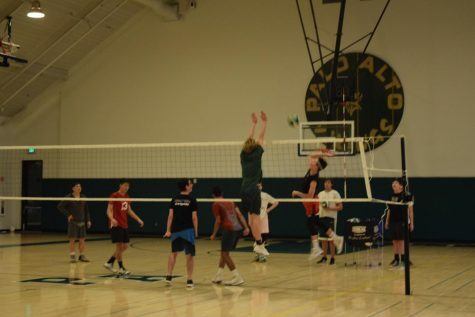 The team then moved onto the NorCals competition, where they moved up the bracket, defeating duos from Lowell High School, Gunderson High School and Monta Vista High School. 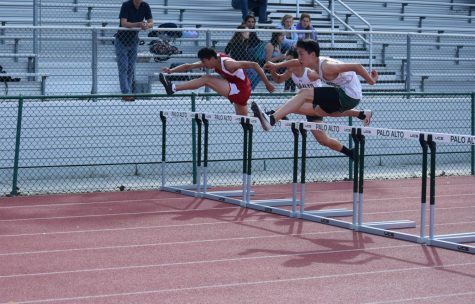 Stiglich and Chau eventually fell to a pair from Monta Vista at the end, placing third. 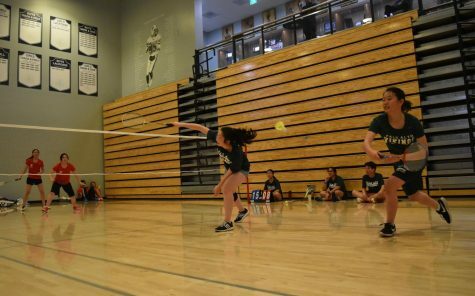 Senior team captain Ally Zhu says she is proud of the team’s performance, especially considering Paly’s main goal throughout the entire season was to remain in the upper league of the Santa Clara Valley Athletic League. To remain in the upper league, the team needed at least two victories. 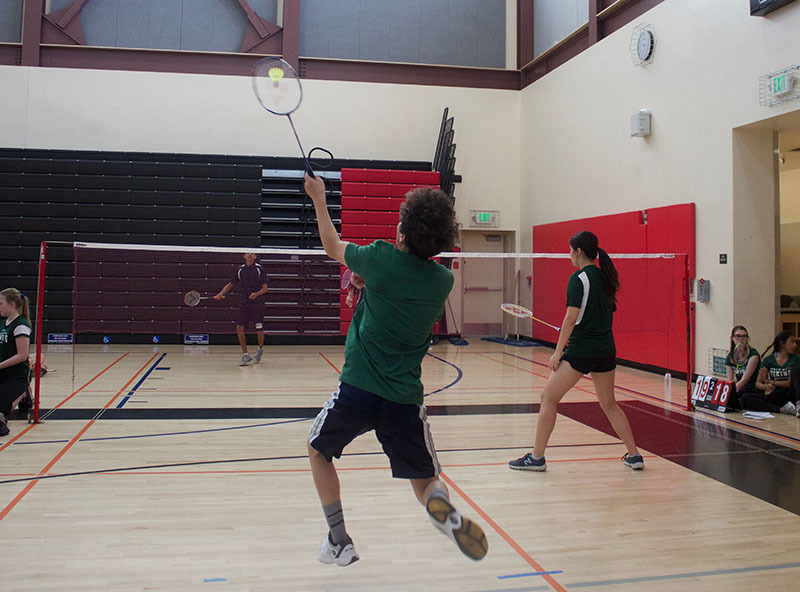 Paly won four tournaments, one of which they won due to a team forfeiting. 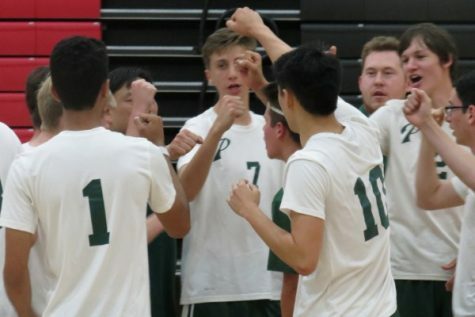 Paly’s most notable success was a surprise win on April 25 against Milpitas High School, a high-ranking team in the league. Both schools stacked their players, or had their best players compete at a lower level to score points, resulting in an unusual playing field. 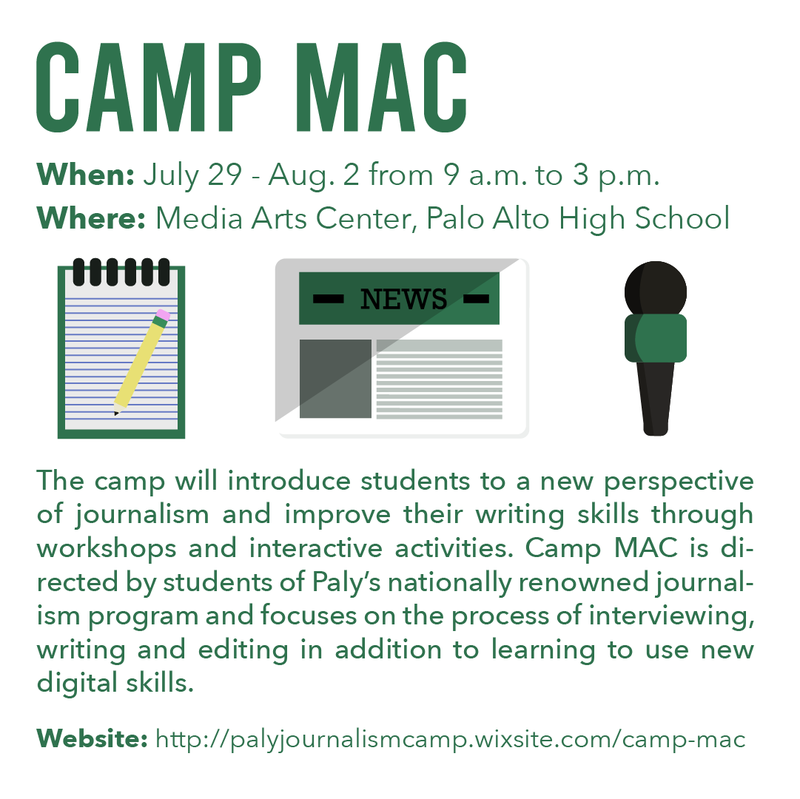 The team also suffered several severe losses, including when Paly fell to Gunn High School 29-1. 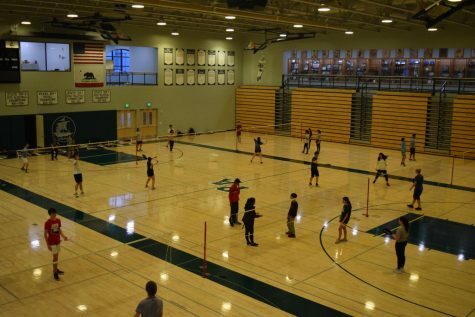 Due to the continued gym construction, the team was forced to practice each day at Gunn, which senior team manager Kogulan Paulmurugan says negatively impacted the team. 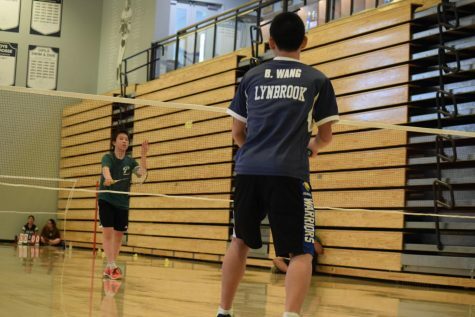 According to Misner, many varsity seniors graduated last year, leaving the team with a shortage of experience that negatively affected the overall performance. “We are losing a lot of seniors this year too, but we have a lot of underclassmen who can hopefully step up and fill their places for next year,” Misner said.